We are please to offer TMCP T-shirts for $20 U.S. (plus shipping). Sizes are S, M, L, XL, and XXL. 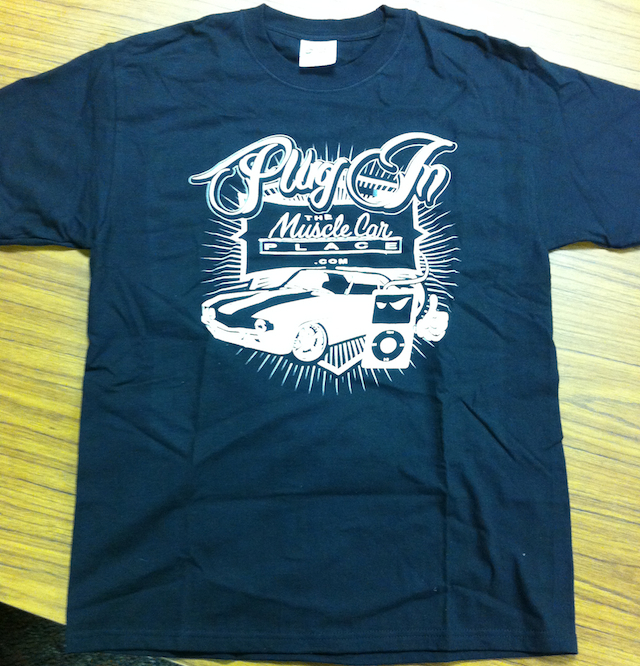 E-mail tshirts@themusclecarplace.com to request an order! The "Plug In" black shirt. Popular with the ladies...and the men. 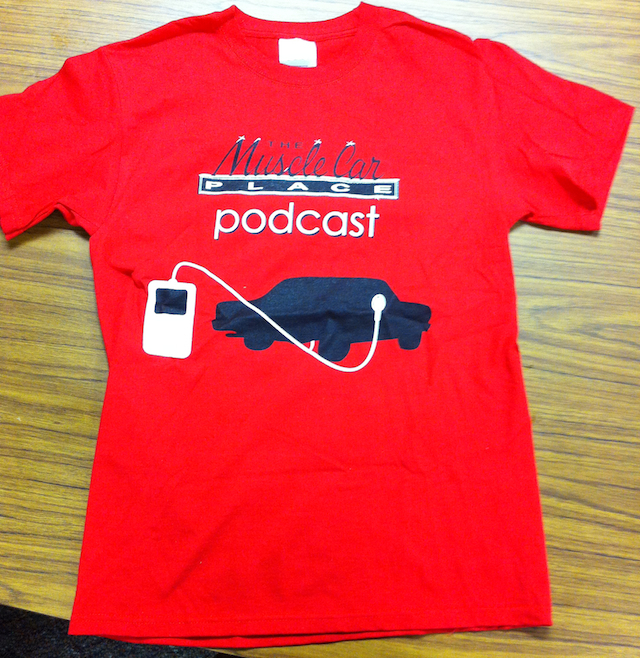 The red TMCP Podcast shirts. Chevelle's dig it. People do too.